Based in Callos System, Brema Sector, the Medical Circle provides a wide variety of services to the citizens of the Galaxy. Created by former New Republican Senators and successful businessmen Franco Nejo and Lukastar Narvaka, the faction’s main goal is to make sure everyone in the galaxy receives the health care they need. The Medical Circle produces medical ships, vehicles, items and droids and distributes them all around the galaxy to those who have been victim of the war against the Empire. All of our departments, whether it be the medical technicians, the surgical engineers or the clinical designers, are trained to be the best at what they do and provide the most efficient and durable products on the market. 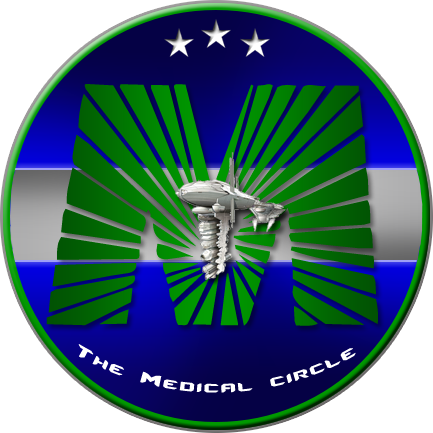 The Medical Circle also provides rescue or medical escorting services for those who would require an elite paramilitary team that has medical skills. The Star Healers have all received high military training and will never disappoint when called for duty.